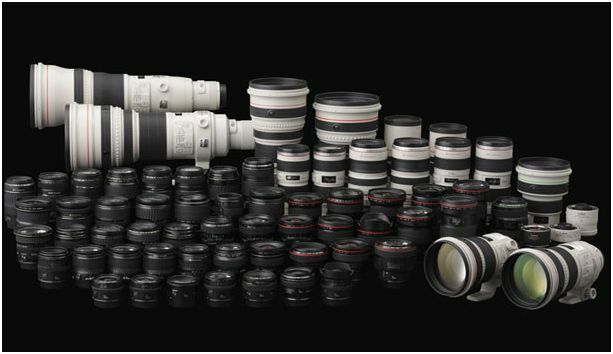 Thirteen months ago, Canon announced that there were 50 million Canon lenses floating around. Today, there are 60 million Canon lenses in the world. Lucky number 60,000,000 was an EF 70-300mm f/4-5.6L IS USM lens. Who wants to wager that Canon hits the 70 million mark by the end of 2011? See Canon’s bragging rights in the press release below. LAKE SUCCESS, N.Y., February 7, 2011 – Canon U.S.A., Inc., a leader in digital imaging, helps celebrate the achievement of a new EF lens-manufacturing milestone with the production of Canon’s 60-millionth lens, an EF 70-300mm f/4-5.6L IS USM. Production of interchangeable EF lenses for Canon EOS-series AF (autofocus) single-lens reflex cameras began in 1987 at the Company’s Utsunomiya Plant, and has since expanded to a total of four production facilities including Canon Inc., Taiwan; Canon Opto (Malaysia) Sdn. Bhd. ; and Oita Canon Inc. in Japan. EF lenses reached the 10-million-unit milestone after approximately eight and a half years in production, followed by the 40-million-unit mark in April of 2008. Due to the popularity of the EOS Digital series, production then increased and EF lenses achieved the 50-million-unit mark in December of 2009. Canon has since produced 10 million units just in 13 months and reached the 60-million-unit milestone in January of 2011. First introduced in March 1987, along with Canon’s EOS SLR camera system, the EF lens system has over the years featured a range of innovative proprietary technologies to lead the industry. These include such world’s firstsi as the Ultrasonic Motor-powered lens (USM), Image Stabilizer (IS) to compensate for the effects of camera shake, Subwavelength Structure Coating (SWC) anti-reflection technology, and a super-telephoto lens that employs a diffractive optical element. Last year, Canon successfully launched the EF 70-200mm f/2.8L IS II USM, featuring outstanding optical performance and Image Stabilization. Canon’s current EF lens lineup is comprised of 65 models ranging from super-wide-angle lenses to super-telephoto zoom lenses, catering to the varying needs of photographers from first-time users to advanced-amateurs and professionals. The Company’s diverse selection of lenses offers several features including a number of zoom options ranging from standard to super-telephoto, Image Stabilizer-equipped lenses, large-diameter lenses, macro lenses and TS-E lenses featuring a special tilt-shift mechanism allowing manipulation of image perspective and distortion. In addition, the EF 8-15mm f/4L Fisheye USM, the world’s firstii fisheye zoom lens, is planned for market release in March of 2011. Canon will continue to proactively introduce innovative technologies, striving to provide superlative image quality and reliability in lens production. I wish I had the bucks to help them along….